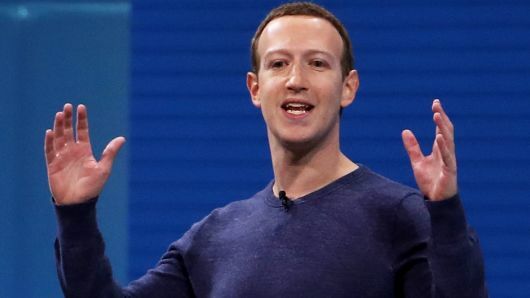 Facebook is launching a dating feature, CEO Mark Zuckerberg announced during the keynote address at Facebook‘s annual F8 developer conference Tuesday. “This is going to be for building real, long-term relationships — not just hook-ups,” Zuckerberg said. The opt-in feature will match users specifically with people they aren’t already friends with. Facebook users can build a dating profile — which friends won’t be able to see. Shares of online dating company Match plunged 22 percent on the news. Its parent company IAC dropped almost 18 percent. IAC chief executive Joey Levin said Facebook’s product “could be great for US/Russia relationships” but hinted the space had already been cornered. “Come on in. The water’s warm,” Levin said in a statement. Match CEO Mandy Ginsberg echoed the confidence, saying the company was “flattered” Facebook was entering the space. The F8 conference, often an opportunity to announce new developer tools or hardware, comes amid a broader discussion of policy and privacy for the company. Facebook for months has been dealing with the fallout of the Cambridge Analytica data leak and questions of user privacy — a firestorm set off by reports that an app developer mishandled sensitive user information. The new dating feature links to events and groups on the larger platform, allowing users with dating profiles to connect via shared interests or commonly attended events. “It mirrors the way people actually date, which is usually at events and institutions that they’re connected to,” chief product officer Chris Cox said during the F8 conference. Users can launch text-only private messages, separate from Facebook Messenger or WhatsApp.